To help the orphans in Malawi, we decided to support The Childrens Fund of Malawi. The purpose of the Foundation is to improve the lives of underprivileged children and young adults in southern Malawi by initiating or supporting educational, medical and youth employability projects in rural and urban areas. 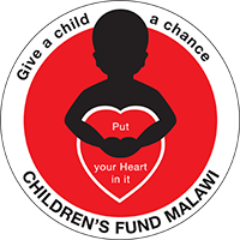 Additionally, The Childrens Fund of Malawi promotes the general wellfare of all children in Malawi and provides medical assistance and education in two orphanages: Chiuta & Dzanja la Chifundo. Pincvision supports the Foundation with the aim of helping orphans in the field of education, school meals and further training, specifically in Trade and Customs. Below you can watch a movie about Green Malata, the Fund's entrepreneurial training village which they attempt to make financially self reliant. Our donations currently enable ten children to be in school. Margriet Sacrani – Simons, Dutch Consul in Malawi tells about the orphans in Malawi: "If you haven't had anyone for years and then suddenly there's someone in Holland "who cares"... for these children that’s absolutely fantastic”. For each certificate of origin Pincvision issues, we donate a part of the profit to the Children’s Fund of Malawi. Besides our continuous financial support of the Foundation we visited the orphanage, to see with our own eyes, how the children are doing. We also love to see the developments realized by The Children’s Fund of Malawi. Last summer we received the great news that all children of the Chiuta Children’s Home went on a vacation for the first time in their lives. Give a child a chance, put your heart in it!